We are delighted to invite you to delight yourself with a delicious welcome drink on our next mingling event with a pinch of a luxury and effortless elegance. 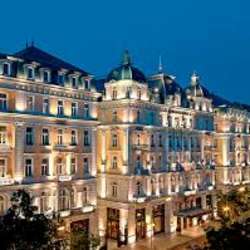 Our April Glamour event will take place at Corinthia Grand Hotel Atrium II Le Bar. Wear the glow of the spring's first sunshine, radiate casual elegance, gorgeously glamorous, and gratefully gracious! Join us, and bring your great global friends as well. Don’t forget, to register them before we must close the guest list. Spring evening at the end of April.